Lucas is back with his mom for the beginning of school and Maddex is back with his dad this week. So marks then end of another summer vacation. Time for a break from it all. Check out this side by side photo of Liam and I. 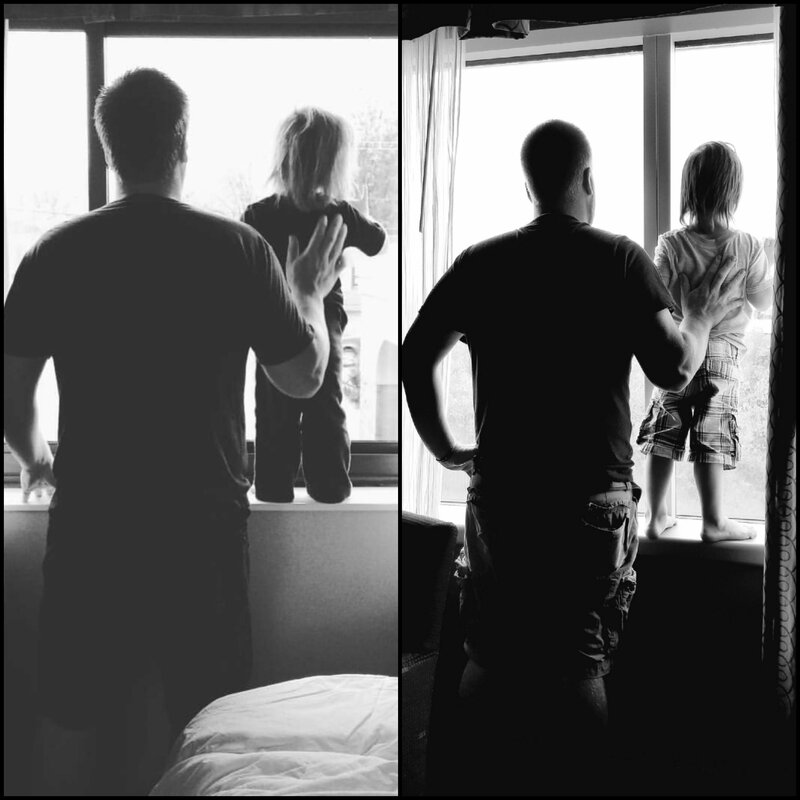 Separated by 15 months. Looks how much he has grown. Maybe we both have.